A limited edition Bache-Gabrielsen 1988 Vintage Fins Bois Cognac has been launched exclusively with DFS. 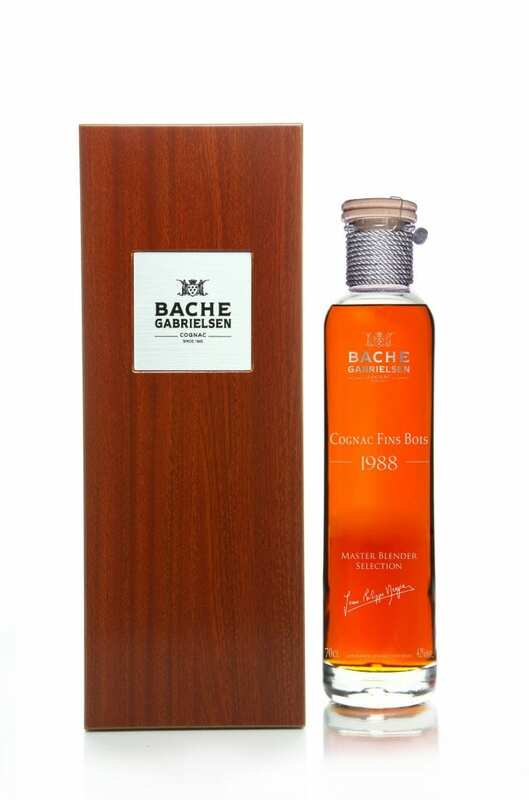 The unique and rare 1988 vintage from Fins Bois district has been ageing for over 25 years in BacheGabrielsen cellars based in Cognac. Cellar Master Jean-Philippe Bergier, who tirelessly enriches the palette of flavours and expressions in the continual search for quality and exception, curated the Limited Vintage Cognac. The 1988 Vintage Fins Bois Cognac can be appreciated in both the nose and palate with its refined balance between the intrinsic spirit aromas from the excellent Brie-Sous-Matha Fins Bois estate, and those generated by 25 years of ageing in oak barrels. This Vintage cognac is round and generous and presents the freshness of both flowers and fruits – rose petals, mangoes, and fresh oranges – together with the characteristic woody notes that arise from a quarter century long maturation process.